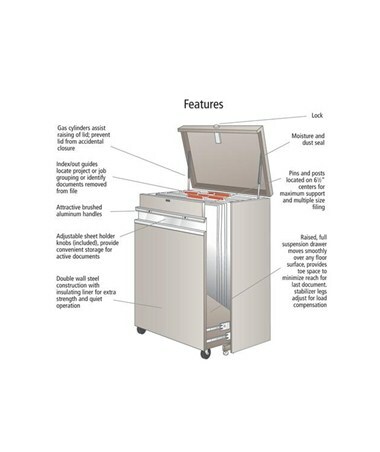 The Safco MasterFile 2 Document Storage is a durable, space-saving solution for storing different sized documents for art, engineering, and other large files. It has a capacity of up to 1,600 sheets or 200 pounds of weight and stabilizer legs that adjust for load compensation. 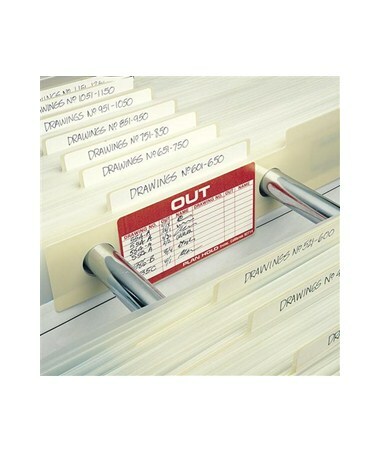 When storing, each document is hung vertically from pins and posts on 6.5-inch centers for maximum support and multiple file sizing. 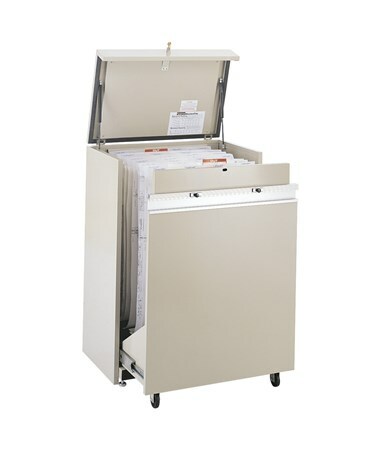 It also has adjustable sheet holder knobs that provide convenient storage for active documents. 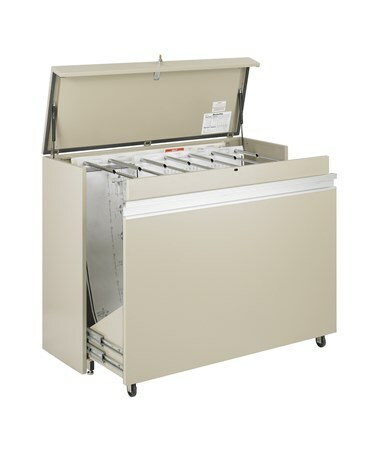 This document storage features a locking mechanism that has a dust and moisture seal and glass cylinders that assist lifting of the lid and prevent it from accidental closure. 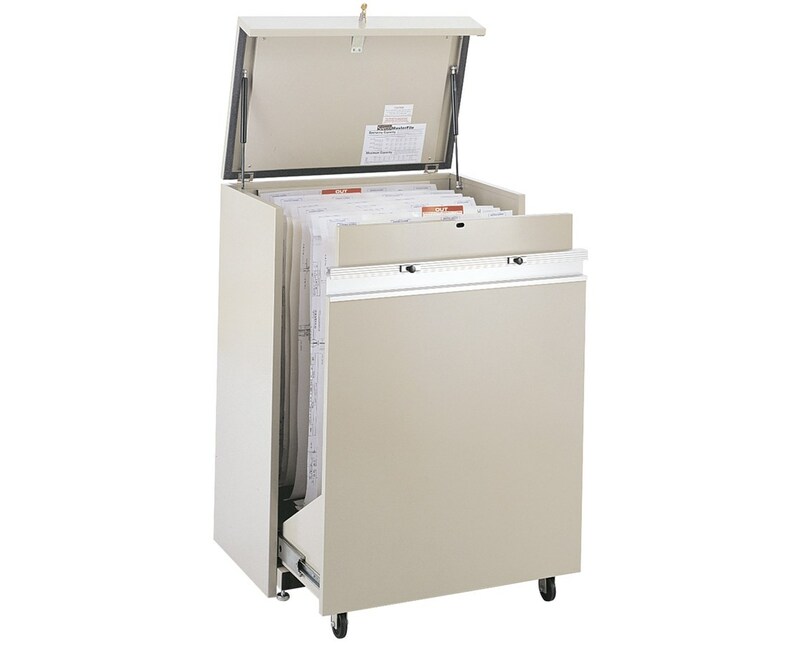 The full suspension document drawer is raised, moves smoothly over any floor, and extends up to 38.5 inches. A toe space is also provided to minimize reach for the last document. This storage unit is made of double wall steel with a powder coat finish and an insulating liner for extra strength and quiet operation. It has brushed aluminum handles and a design that helps eliminate fingerprints and tears. It is safe for indoor use and does not emit harmful chemicals as certified by GREENGUARD. 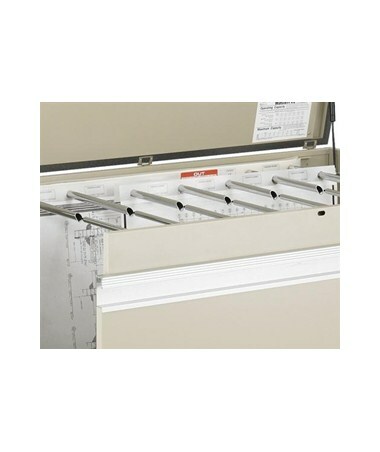 Separately sold self-adhesive, pre-punched carrier strips and index/out guides may also be used to attach the documents. 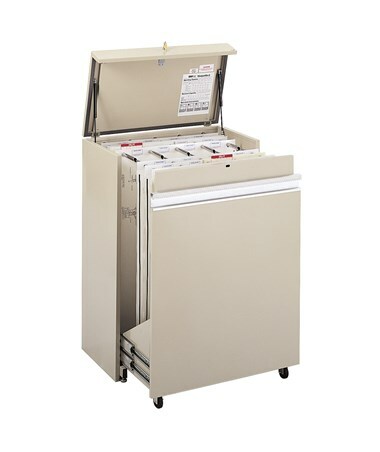 The Safco MasterFile 2 Document Storage is available in three different sizes. Please select your preference from the drop-down menu above.